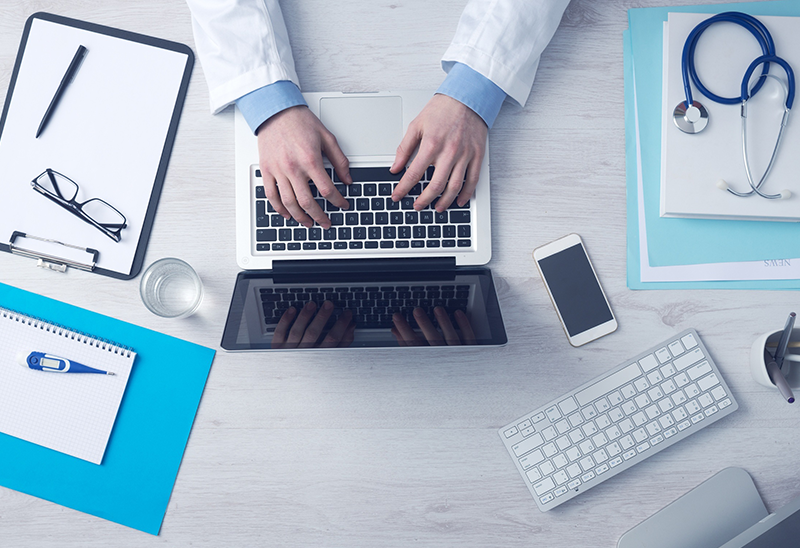 Transformative digital infrastructure for Physician networks to connect with corporate EAPs. A fully integrated medical ecosystem, powered by AI. 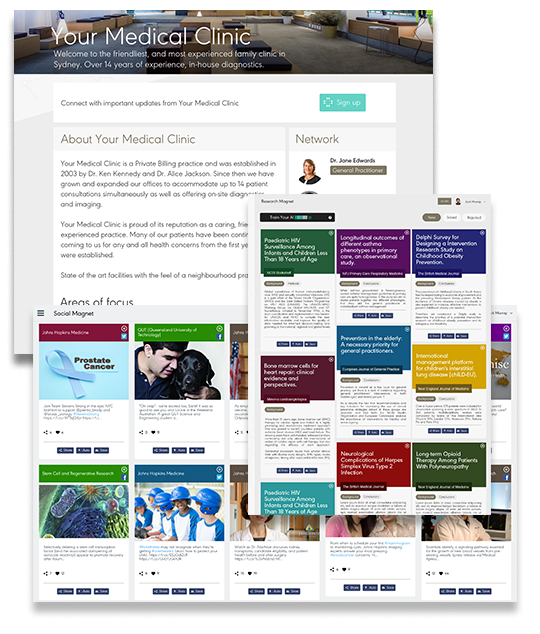 Communicate with patient and clinical groups via their channels. Socialised precision medical news, research and trials for your doctors and patients. Enhance your digital profile and online presence. Create Plexa groups to talk privately within your workplace. Engage with the entire global medical community. Worlds 1st Journal CPD systems incentivises medical thought leadership. Find and collaborate with leading researcher partners and medical ambassadors. Secure medical referrals from within and outside your network. We’ve revolutionised the way the medical community finds research. Save time spent doing manual searches and we personalise and filter research and deliver it to you. We can share research instantly to Plexa or other networks. PLEXA is powered by AI. Virtual care provided by Quantum Consult. MedBots capture relevant patient data intelligently, saving doctors time and expense. The QConsult engine ensures integrated summarised clinical information and ensures patients and doctors can interact at time of their choosing. Biovids offer a reassuring, culturally-familiar human touch to international patients. MediMatch provides medical care based on illness, location and personality. Maintaining clinician attention without being imposing is key. 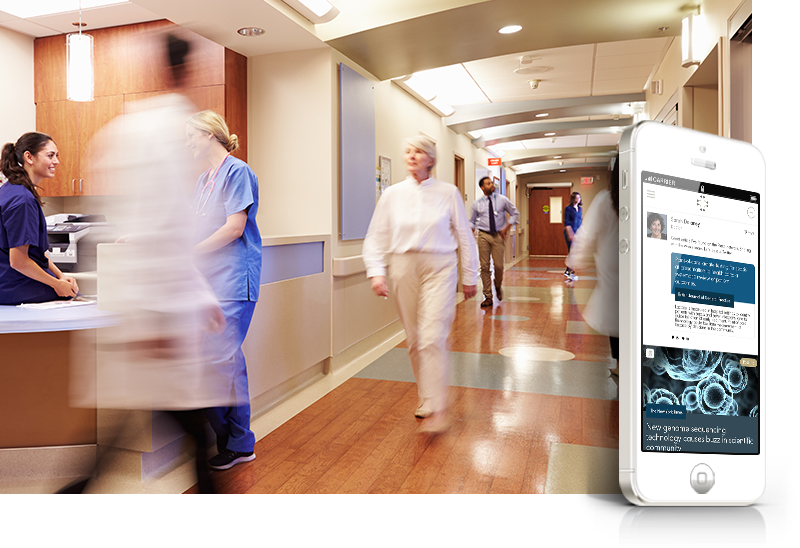 PLEXA brings your Doctors and customers to one place for instant, private, personalised communication. Leverage your specialist network, facilitate awareness & intra-network referrals. 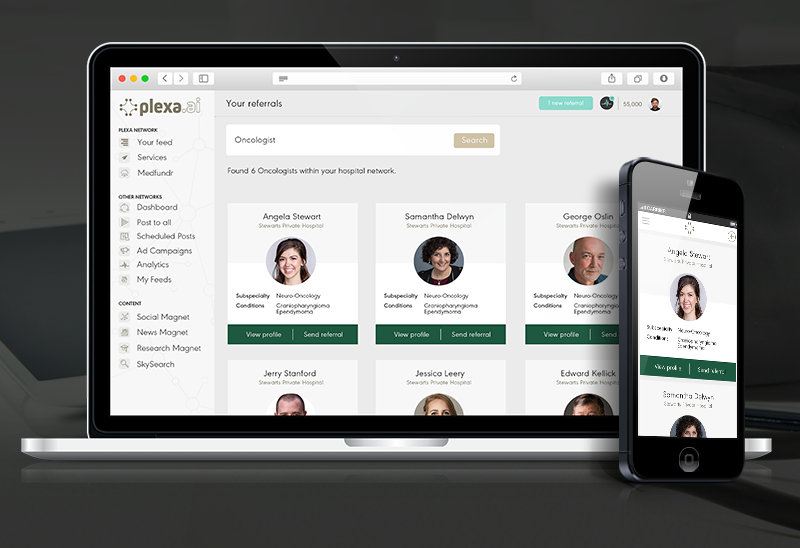 Plexa allows you to create groups for your doctors. Communicate instantly, share announcements and promotions in real-time. Users connect via web or mobile app. Plexa provides dynamic feedback on trending topics about healthy vision and disabiling illnesses. Doctors, patients & corporate clients, and the global healthcare space via or organisation portal gain big data-driven insights into topics of concern to your members and the global healthcare space via our organisation portal. Our network provides clinicians with full control over who sees their posts and who can view their profile. Our next goal was to modernise how clinicians engage with research. Currently, research is delivered via post, email or manual search and readership is low. Plexa’s custom medical research bot personalises research clinicians consume. Login, filter, save and discuss. Staying on top of the field has never been this easy. Share cutting-edge knowledge and build your profile with peers and employers. CPD compliance is a time-consuming but necessary part of medical practice around the world. Plexa minimises clinician time spent meeting obligations. Simply use Plexa to read research. When it’s time to submit, use our one-click reporting function. Every year, hundreds of locum positions need filling within your hospital network. Plexa allows clinicians to instantly fill vacant positions. Earn extra income when and where desired, and ease the patient waiting lists. The quality of online healthcare information is generally low. The risk of getting bad advice from unverified sources is high. Enter Plexa’s verified healthcare network and find a doctor with expertise in your condition, click to follow, get daily updates and advice. Medicine is best delivered instantly, when you need it, by the most highly skilled doctor you can find. Plexa makes this simple with our simplified telemedicine system. Every year, over 1 million patients go looking for a regular GP or specialist clinician. Many doctors are looking for patients but they do not market themselves properly. Plexa allows patients to instantly match with doctors. Doctors earn extra income, patients get access to pre-vetted medical advice. Our next goal was to modernise how clinicians engage with research. Currently, research is delivered via post, email or manual search. Readership is low. Plexa’s custom medical research bot personalises research clinicians consume. Login, filter, save and discuss. Staying on top of the field has never been this easy. Medicine is built on reputation. We have created a network that allows medical knowledge to be rewarded and shared. Share cutting-edge knowledge and build your profile with peers and employers. What if there was a way to keep patients informed about their health while boosting your clinic’s profile? Patients on the network can view clinic and doctor profiles. You control what they see. No public reviews allowed. Enter Plexa’s verified healthcare network now for a monthly subscription of $89 (USD), paid annually. Create private groups, discuss your work and research all within one ecosystem. Click the button below to request for access. Get medical news and research delivered to your inbox. Copyright © PLEXA 2019. All rights reserved.